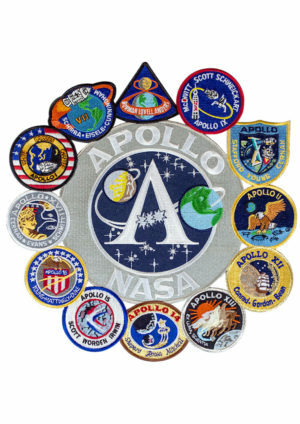 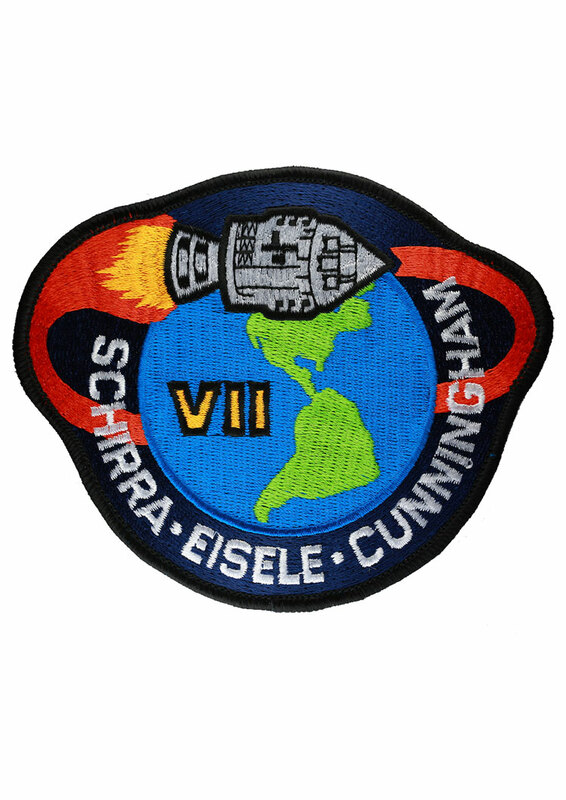 The embroidered mission patch for Apollo 7. 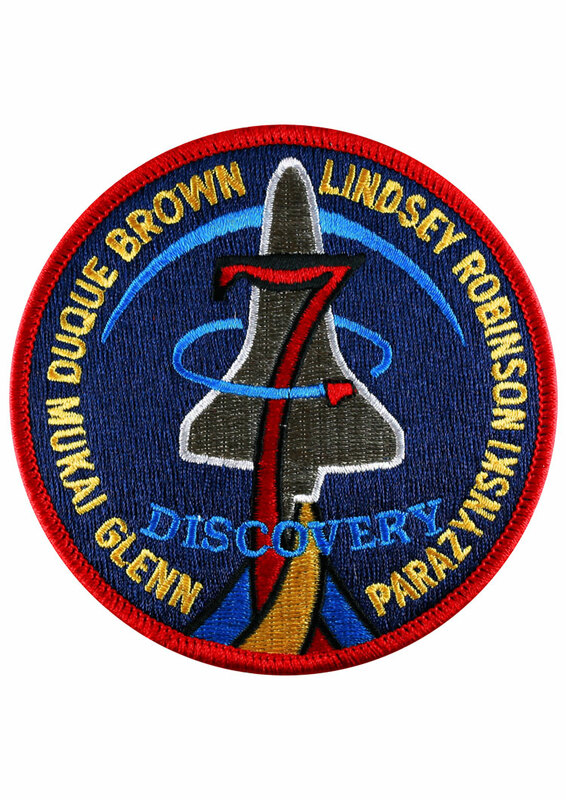 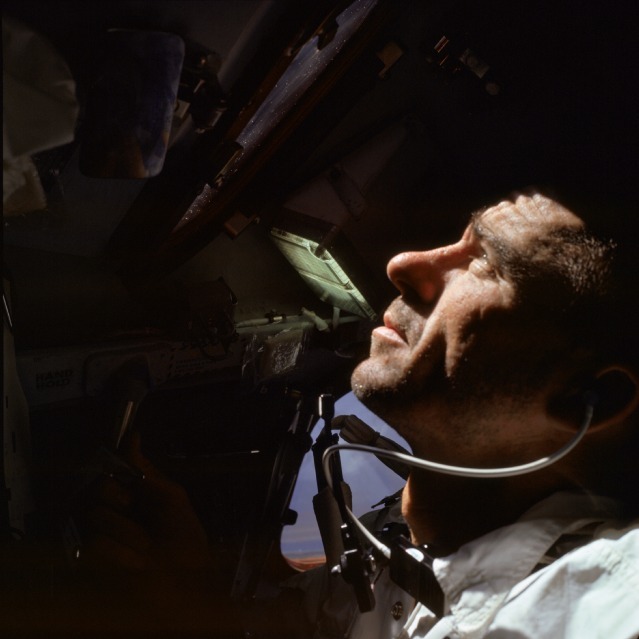 Apollo 7 was the first manned test flight of the Apollo capsule in low Earth orbit. 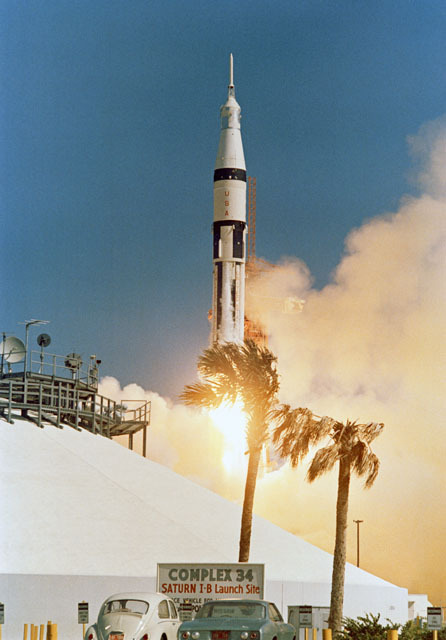 It launched atop a Saturn IB rocket on October 11, 1968 and splashed down in the Atlantic after a flight lasting 10 days, 20 hours, 9 minutes, 3 seconds and 163 orbits of Earth. 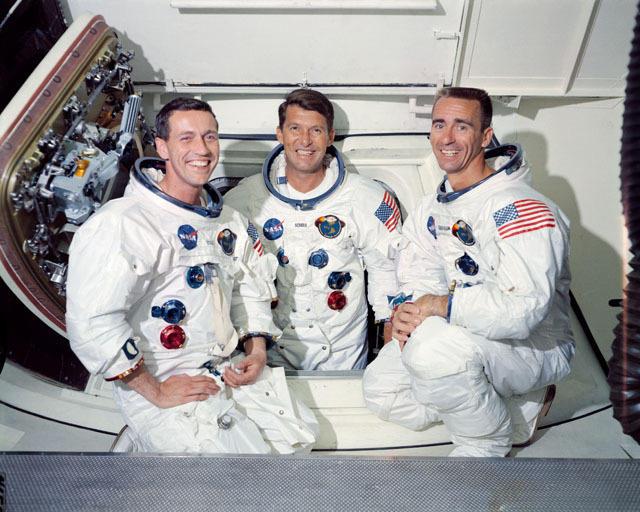 The crew consisted of astronauts Walter M. Schirra Jr., Donn F. Eisele, and Walter Cunningham.